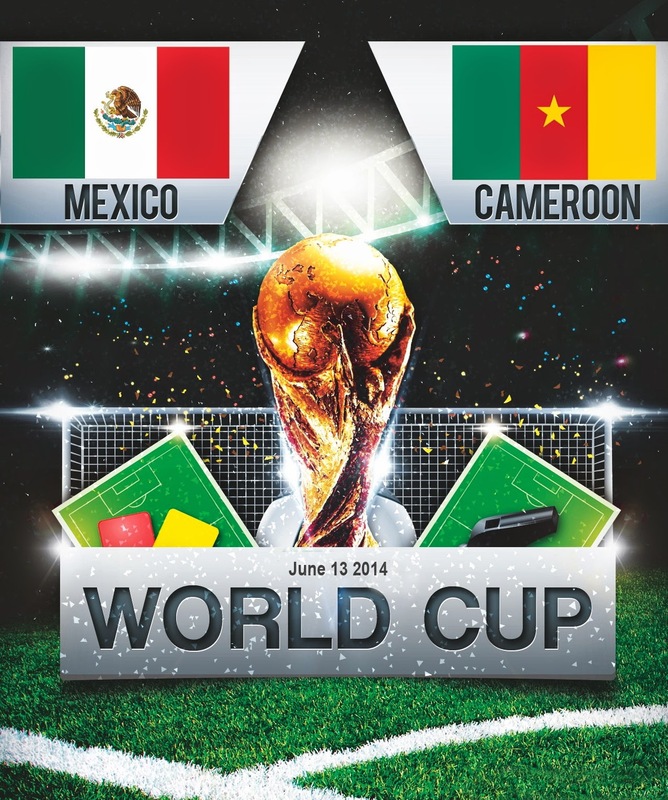 The 2nd match of the tournament will be between Mexico and Cameroon which will be played on Friday, 13 June 2014 at the Estadio das DunasNatal in Natal. It is a Group A game and a very crucial one. 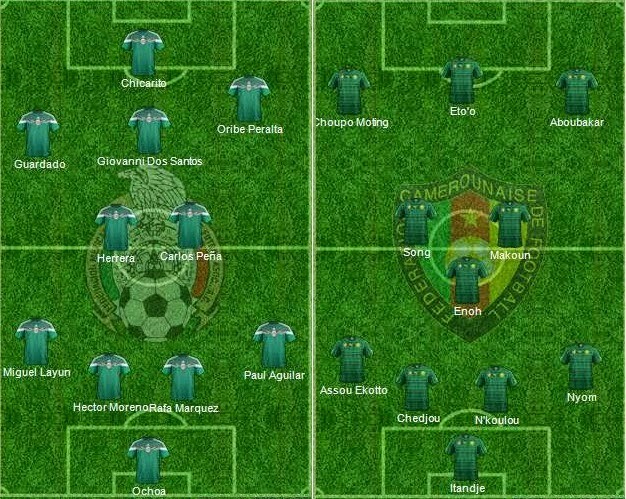 Mexico will be slight favourite in this game but cameroon do have players who can make a game of it. Mexico are likely to start with 4-2-3-1 formation with Manchester United forward playing uptop while Dos Santos, Peralta and Guardado playing in the attacking midfield roles. Herrera and Pena are likely to start in the centre of midfield. Cameroon on the other hand will start with Samuel Eto’o who scored a couple goals in the warmup matches while Abubakar and moting will play on either side of the attack. Below is our predicted lineups. A big game for both sides and a three points in this match will put the winning side in very good position to make it out of the group, having said that both the teams are not likely to make it to the knockouts with Brazil and Croatia are the favourites in this group. But looking at this particular game its hard to predict the result, cameroon looked good in the warmup games while Mexico have been under performing for a while now. A narrow Mexico win, Dos Santos and Guardardo are the players to watch out for.